Booking an Appointment is necessary so we can dedicate a bridal consultant and provide you with our undivided attention. We welcome walk-ins and try our best to accommodate you with a bridal consultant. Tuesday and Thursday are strictly by appointment after 6:30 pm. 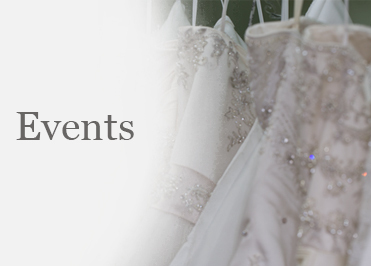 Brides, Mothers, Bridesmaids, and Tuxedo Appointments can be booked either on-line or by phone. If a convenient appointment time is not obtainable on-line, feel free to call us at (914) 428-3957 to see if we can accommodate your preference. Brides will be asked to fill out a survey in a confirmation e-mail, to help us prepare for your appointment. Alteration Appointments must be booked by phone and are available on Tuesdays 10am-5pm; Thursdays 12am-7pm and Saturdays 10am-12 noon. Saturday and Sunday Bride, Mother, Bridesmaids and Tuxedo appointments require a $50.00 credit card deposit. They are no charge, but if you miss your appointment or do not cancel 48 hours prior to your appointment, you will be charged the $50.00. Is there a limit to the number of guests that I can bring to my appointment? We have a sitting/viewing area that can accommodate up to 4 people per bride in our Bridal Salon. We want your experience to be magical and look forward to meeting you. 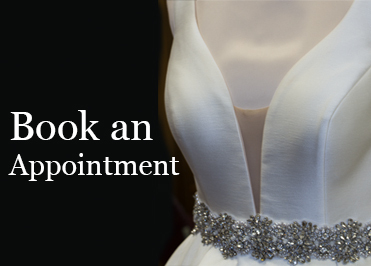 Our Bridal appointments are one and a half hours on both weekends, and weekdays. All other appointments such as Bridesmaids, Mothers, Flower girls & Junior Bridesmaids, Special Occasions, Tuxedos, and Invitations are about forty-five minutes to one hour. Try on Dress appointments – There is no need to bring undergarments, shoes, or jewelry to try on dresses, although we ask you not to wear make-up to avoid possible stains to the gowns. Viewings – We recommend you bring your undergarments and shoes/heels approximate to what you will be wearing on your wedding day. Fittings/Alterations – You need to bring the shoes/heels, and any undergarments you will be wearing on your wedding day. We also sell bridal jewelry and can help you match it with your attire. Do you allow children at the store? A Bridal Salon is not a safe place for children due to loose pins, beads, breakable items, and other hazards. Do I need to make sure a specific dress on your website is available for my appointment? Please check with us to make sure we have the dress to reserve for you. We ask you to cancel at least 48 hours in advance of your appointment time; we do not want to turn another client away from filling the open time slot. Saturday and Sunday Bride, Mother, Bridesmaids and Tuxedo appointments require a $50.00 credit card deposit. These appointments are no charge, but if you miss your appointment or do not cancel 48 hours prior to your appointment, you will be charged the $50.00. Credit cards are accepted, as well as cash. A 60% deposit on Bride Gowns is required on special-orders at the time of your order. We will contact you as soon as your dress arrives for a Viewing and to pay the 40% balance. Mothers and Bridesmaids must be paid in full at the time of your order. The total alteration fee is due at time of first fitting. What is a viewing appointment? This type of appointment is for our Brides and Mothers to try on their gowns and also pay anything owed on their dress. Virginia’s Bridal quality checks each dress meticulously when it arrives. There is no need to bring under garments, and we ask you not to wear make-up, lotions, etc. to avoid possible stains to your gown. Our policy is to price dresses at a fair price, which is the minimum price our Designers allow us to sell at. All of our clients are important to us, and we pride ourselves in offering the best value and service. At our Trunk Shows, designers may allow us, and only during this time, to discount prices. We offer this service as stated on our In-House Alterations page. We have In-House Seamstresses highly skilled with decades of experience to do your fittings and any needed alterations. As you know, it is extremely important to get the fit right for the big day, so we schedule fittings at least two months before the wedding. Fittings/alterations are by appointment and only on Tuesday 10am-5pm, Thursday 12am-7pm and Saturday 10am-12 (noon). If you have purchased a dress already and need to have it fitted/altered. We offer alterations on outside bridal gowns & dresses (service based on seamstress availability). Special-orders are dresses ordered from the designer/manufacturer, are non-cancellable and are made for a specific customer. 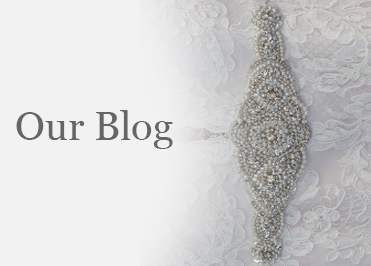 Are you able to customize your gown? Trunk Shows are special events at which a designer (or representative from the company) visits a boutique on a set day with their latest line offerings for brides, mothers, accessories and tuxedos. Designers may allow us, and only during this time, to discount prices. For specifics, please see our Events. Appointments need to be booked in advance for trunk shows. Do you allow photography during the appointment? Photography is allowed during your appointment, but these gowns are showroom samples so the condition and fit could be different from the fitted dresses that you purchase. A sample sale is when a bridal salon sells the gowns that either brides have tried on in the showroom. These gowns are usually discounted from 25% to 50% off their original price. Booking an Appointment is necessary in advance. How far in advance should I purchase all of the items for my wedding? * If you need a dress at the last minute, we can try a Rush Order (at an additional fee), sell you a showroom sample, or check with the Design Houses for in-stock items. Should I have my dress preserved? We partner with a high-end gown cleaning and preservation service. Their methods have been proven and recognized by the International Fabric Institute as the best methods in the gown preservation industry. 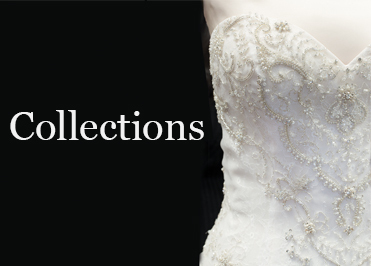 They pride themselves in the highest standard of quality and care of bridal gowns in cleaning and preservation. There is no appointment needed. All you have to do is bring in the gown / veil and we take care of the rest. To ensure your gown retains it’s beauty, the gown must be preserved by a professional preservationist.